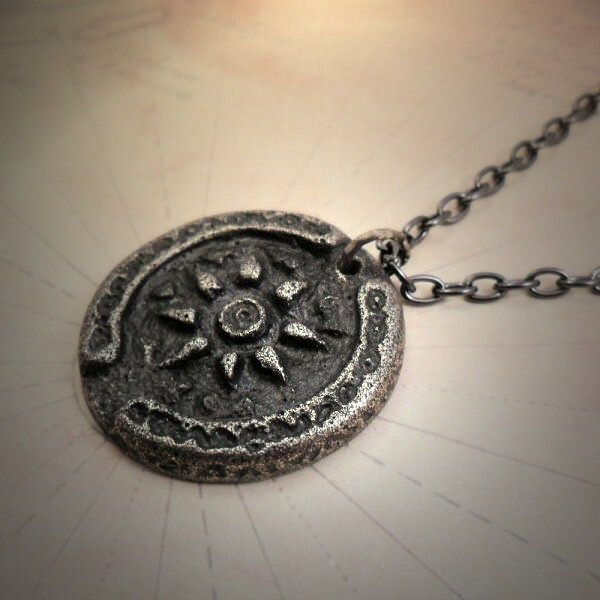 This necklace illustrates the theory that our earth is in fact hollow, with a small sun at its center. 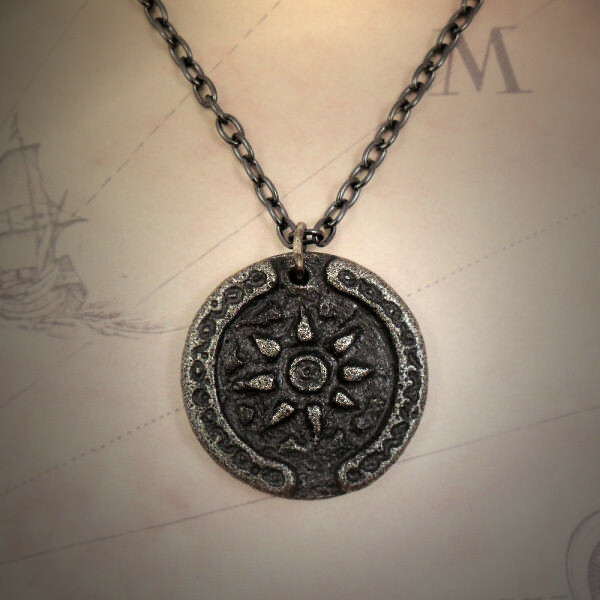 The top and bottom of the pendant show the polar openings to the inner world. 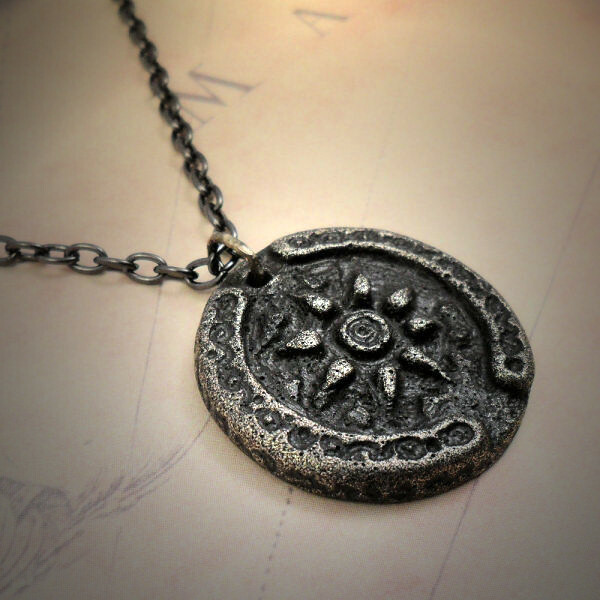 This pendant is handmade using the cold casting method of mixing resin with brass. Available on gunmetal chain or black waxed cord with slipknots for length adjustment.